VICTOR, N.Y. - Oct. 11, 2018 - PRLog -- L-Tron capped its 2018 accolades recently as one of three finalists in the 2018 Greater Rochester Excellence and Achievements in Technology (GREAT) Awards. 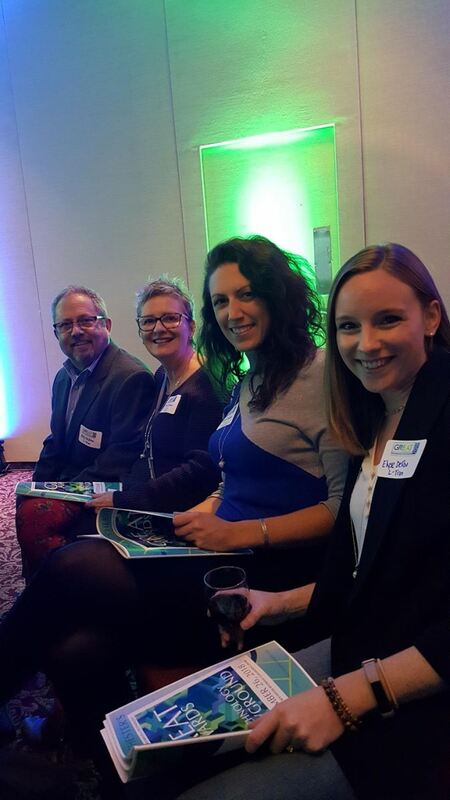 Sponsored by Digital Rochester, the growing Ontario County company, joined other area technology leaders in the Best Tech Workplace category. The category looked at how innovation, creativity and technological relevancy play in a successful company culture. The event was held at the Joseph A. Floreano Riverside Convention Center in Rochester. According to L-Tron's COO Gayle DeRose, the company culture is one of collaborations, transparency, and inclusion where from the moment an employee sets foot in the door, they are given a voice and their opinions are heard. As a result, customers benefit. "We pride ourselves in forward thinking at L-Tron," said COO Gayle DeRose, "We listen to our customers and use their voice to direct our efforts to ensure their success – all while having a quirky and fun atmosphere at work." DeRose acknowledged this year's Best Tech Workplace winner, Datto, Inc. as formidable competition. "We are honored to be included with industry leaders Datto and Innovative Solutions. When I look back at where we began, where we are today, and where we're headed, I am confident our approach both internally and externally are working," DeRose said. Key to L-Tron's continued success is not only collaboration with customers, but providing a transparent environment in the workplace where employees are comfortable contributing ideas, according to DeRose. "A company wide approach to collaboration brings out the passion, ideas and engagement required for success. And it's fun!" L-Tron Corporation has had a technology presence for more than 43 years, and provides data capture solutions for industrial automation, manufacturing, government and law enforcement across the country.